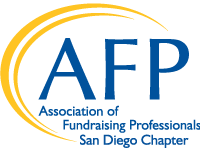 AFP San Diego March Webinar - Market Smarter, Not Harder! Hot to set-up strategic communications to allow your patrons to self-select their interests. Ceci Dadisman is a multi-faceted marketing professional with over 10 years of experience successfully marketing the arts and nonprofits utilizing innovative and cutting-edge initiatives. Currently the Digital Marketing Manager at FORM, she is nationally recognized as a leader in digital and social media marketing and specializes in the integration of digital marketing and technology into traditional marketing methods. Webinars are held monthly, from February to December (dark in July). Each webinar offers CFRE credits.